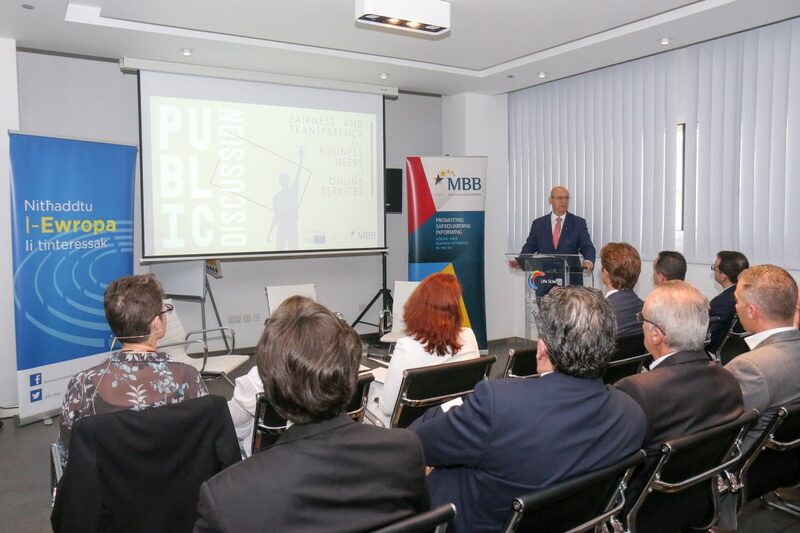 In a well-attended public information discussion co-organised by the Malta Business Bureau and the European Parliament Liaison Office, on the proposed EU regulation on Fairness and transparency for business users of online services, MEP Francis Zammit Dimech emphasised the need for fair rules and transparency for business users of the online platforms particularly vis-a-vis the industry giants. Business and ministry speakers noted that platforms are here to stay and it is in everyone’s best interest to ensure these work fairly for everyone. Support was generally expressed for the draft regulation on the perception that it will protect smaller and independent businesses. MEP Zammit Dimech outlined some interesting concrete examples of the balancing act required in his role as Parliamentary rapporteur for the Legal Affairs Committee to represent the concerns of business users while protecting the freedom of platforms. 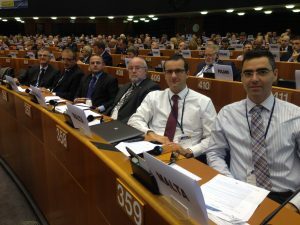 Issues of data, protection of consumers, ranking, whether search engines should be considered intermediaries – the Parliament is moving towards considering them to be so – and what form of online use should be considered a transaction all feature high as in his role as Rapporteur on this file, wherein he is meeting both the big platforms and the small businesses. 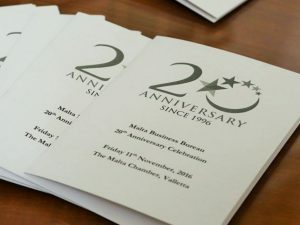 Mr Simon De Cesare, President of the Malta Business Bureau, while noting that the hotel industry was the most represented sector present in the audience, emphasised the importance of the proposed Regulation for the sector, observing that over 50% of guest nights in Europe are booked through Booking.com. 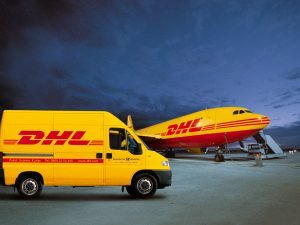 This, he said, gave the latter enormous leverage over accommodation providers when setting the contractual terms of the business relationship. Ms Anna Zammit Vella, acting Head of the EP Office in Malta, emphasised Parliament’s role as co-legislator on this file together with Council, underlining the opportunity for citizens’ to put forward their thoughts on this draft law whilst it is still being discussed in Brussels and in this way, to be part of the European law-making process as their thoughts would be reflected in Parliament’s position and possibly in the final text. Ms Glorianne Borg and Mr Philip Vella from the Ministry of Economy, Investment and Small Business, set the scene with a technical presentation on the main points of the proposed regulation, in particular the three pillars of transparency, redress and monitoring that the proposed text is built on. 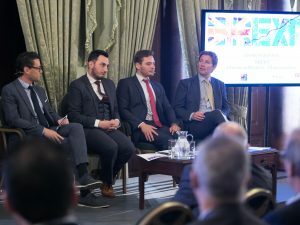 Amongst the observations that emerged from the ensuing debate, Mr Nigel Mifsud, from the Malta Chamber of Commerce, Enterprise and Industry, stated that terms such as “indirect remuneration” needed a definition and that agreement was needed on what “terms and conditions” should include. Mr Marcel Mizzi, representing GRTU, noted, on the other hand, that the challenges for business users brought about by ranking is very real but that the proposed regulation should not stifle platforms. ensuring protection of personal data, for example, from affiliates that platforms may have that consumers/business users may not know about. The public also raised concerns such as being “punished” by online platforms when selling online without knowing why. This is one of the main grievances that this new law will set right when it is adopted. Parliament is aiming to establish its position in the coming weeks, and the Austrian Council Presidency for a framework agreement among Member States by November. Realistically the MEP and MEIB agreed, it will take two years to have this legislation in place.